Military History: Believe it or not, but even old retired guys and younger working guys run into a time, where you just don’t catch up, therefore our Military History segment is going off center. So “April, a month of firsts” contains some facts throughout our history that helped shape our country. Many of them way before us or our Grandparents, but these “firsts” have had an impact on our lives and how we live, if we think deep enough. More information on any of these can be found through Wikipedia or some key words in any trusted search engine. April 2, 1792 – Congress established the first U.S. Mint at Philadelphia. David Rittenhouse, an American scientist, was appointed the first director of the mint by President George Washington. Two lots were purchased by Rittenhouse on July 18, 1792, at Seventh Street and 631 Filbert Street in Philadelphia for $4,266.67. The next day, demolition of an abandoned whiskey distillery on the property began. Foundation work began on July 31, and by September 7, the first building was ready for installation of the smelting furnace. The smelt house was the first public building erected by the United States government. A three-story brick structure facing Seventh Street was constructed a few months later. Measuring nearly 37 ft. (11 m) wide on the street, it only extended back 33 ft. (10 m). The gold and silver for the mint were contained in basement vaults. The first floor housed deposit and weighing rooms, along with the press room, where striking coins took place. Mint official offices were on the second floor, and the assay office was located on the third floor. A photograph of the Seventh Street building taken around 1908 show that by then the year 1792 and the words “Ye Olde Mint” (in quotes) had been painted onto the facade. April 3, 1860 – In the American West, the Pony Express service began as the first rider departed St. Joseph, Missouri. For $5 an ounce, letters were delivered 2,000 miles to California within ten days. The famed Pony Express riders each rode from 75 to 100 miles before handing the letters off to the next rider. A total of 190 way stations were located about 15 miles apart. The service lasted less than two years, ending upon the completion of the overland telegraph. April 3, 1995 – Supreme Court Justice Sandra Day O’Connor became the first woman to preside over the Court, sitting in for Chief Justice William H. Rehnquist who was out of town. April 4, 1887 – The first woman mayor was elected in the U.S. as Susanna M. Salter became mayor of Argonia, Kansas Her election was a surprise because her name had been placed on a slate of candidates as a prank by a group of men who were actually against women in politics and hoped to secure a loss that would humiliate women and discourage them from running. Because candidates did not have to be made public before election day, Salter herself did not know she was on the ballot before the polls opened. When, on election day itself, she agreed to accept office if elected, the Women’s Christian Temperance Union abandoned its own preferred candidate and voted for Salter en masse, helping to secure her election by a two-thirds majority. April 6, 1896 – After a break of 1500 years, the first Olympics of the modern era was held in Athens, Greece. April 8, 1913 – The 17th Amendment to the U.S. Constitution was ratified requiring direct popular election of U.S. senators. 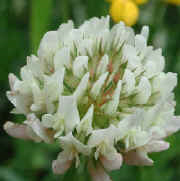 Previously, they had been chosen by state legislatures. The amendment was proposed by the 62nd Congress in 1912 and adopted in 1913 upon being ratified by three-fourths (36) of the state legislatures. It was first implemented in special elections in Maryland (November 1913) and Alabama (May 1914), then nationwide in the November 1914 election. 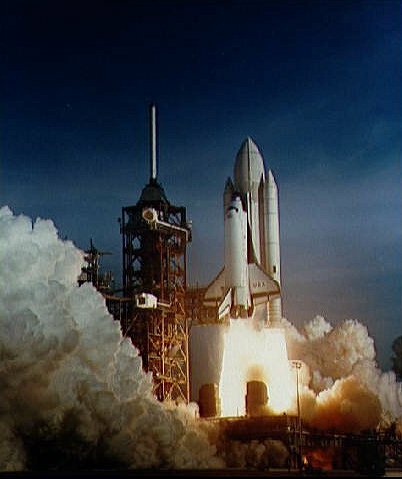 April 12, 1981 – The first space shuttle flight occurred with the launching of Columbia with astronauts John Young and Robert Crippen aboard. 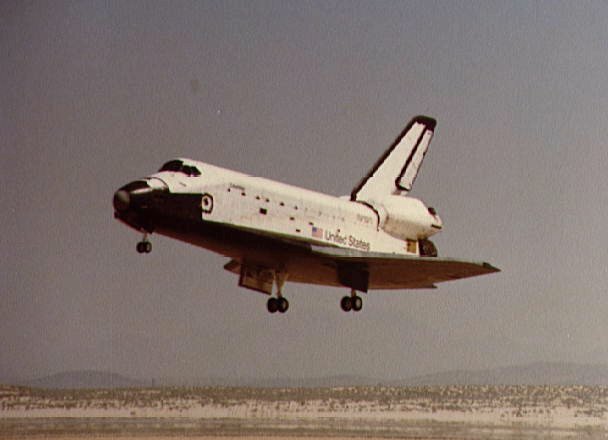 Columbia spent 54 hours in space, making 36 orbits, then landed at Edwards Air Force Base in California. 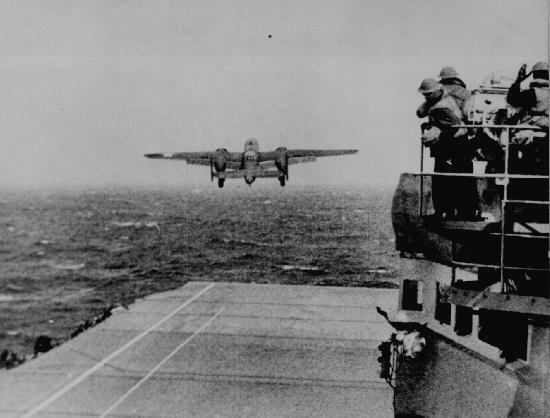 April 18, 1942 – The first air raid on mainland Japan during World War II occurred as General James Doolittle led a squadron of B-25 bombers taking off from the carrier Hornet to bomb Tokyo and three other cities. Damage was minimal, but the raid boosted Allied morale following years of unchecked Japanese military advances. April 30, 1789 – George Washington became the first U.S. President as he was administered the oath of office on the balcony of Federal Hall at the corner of Wall and Broad Streets in New York City. This entry was posted in Military History and tagged AMVETS, post, 79, post 79, veterans, service members, community, AMVETS Post 79, Ladies, Auxiliary, Ladies Auxiliary, sons of amvets, sons, amvet, bremer, bremer county, Iowa, Iowa AMVETS Post 79, Waverly Iowa, AMVETS Club, waverly amvets, waverly vets, waverly veterans, waverly amvets post 79, waverly area veterans, WAVP, AMVETS Auxiliary, Waverly Area Veterans Post, amvets post, service, waverly ia, Waverly Area, patriot, patriots, where patriots gather on March 31, 2019 by Sandy Shinn.